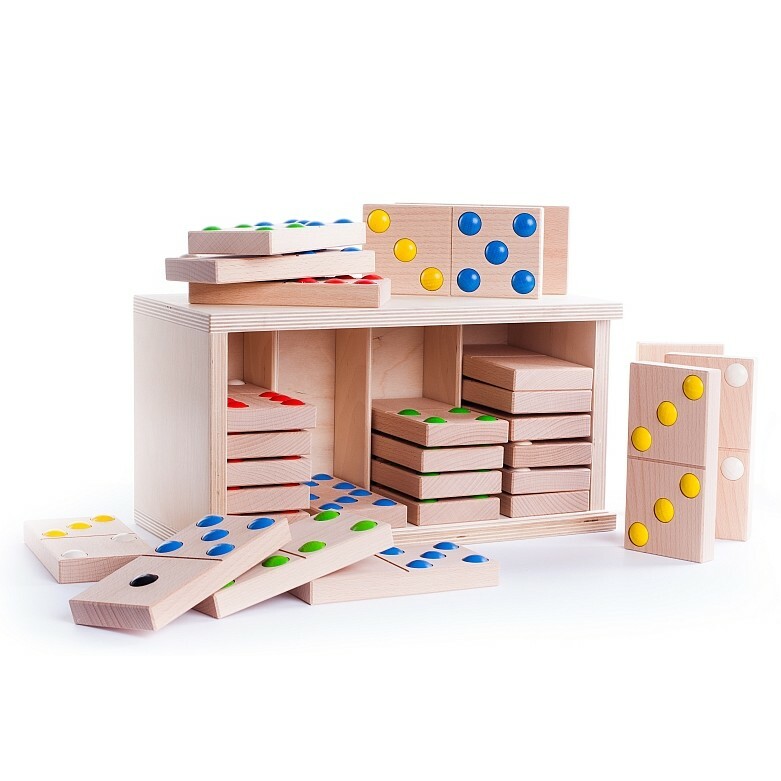 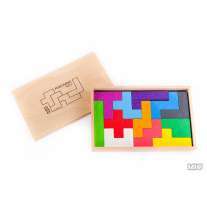 Dominos is a classic game that all the family can get involved in and this giant set adds a whole new element of fun to the traditional game. 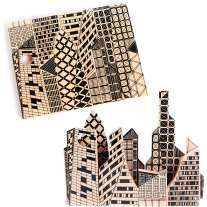 Each domino piece measures a whopping 15cm x 7.5cm x 2cm and the 'dots' are actually raised bumps, making for a tactile experience. 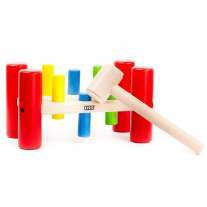 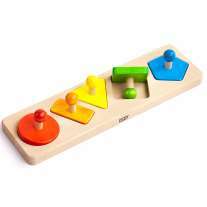 This 28-piece set is a great way to encourage turn-taking and hone counting skills. 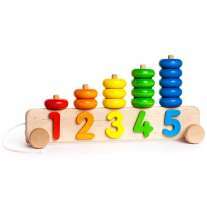 Made from solid, sustainable wood, this high quality toy is built to last and decorated with bright eco paints in primary colours.